In case you thought that all Korean celebrities are K-pop stars, today we’re featuring comedian Heo Kyung-hwan, one of the top male comedians in South Korea. Heo Kyung-hwan is one of the comedians on the popular “GAG Concert” show, which is the oldest South Korean comedy shows to be aired. It’s a sketch comedy show along the lines of Saturday Night Live and is aired on KBS TV. For those who are interested but don’t speak Korean, the show is always re-aired later with English subtitles! In addition to comedy, Heo Kyung-hwan appears on television dramas as well, and is known for his style (and abs…). We caught him with his John Peters New York backpack, a fashionable bag for a fashionable guy! The New York style works just as well in Seoul. It suits him really well! John Peters New York bags are great all around backpacks, especially for school. To get yours, check out www.johnpetersnewyork.com. 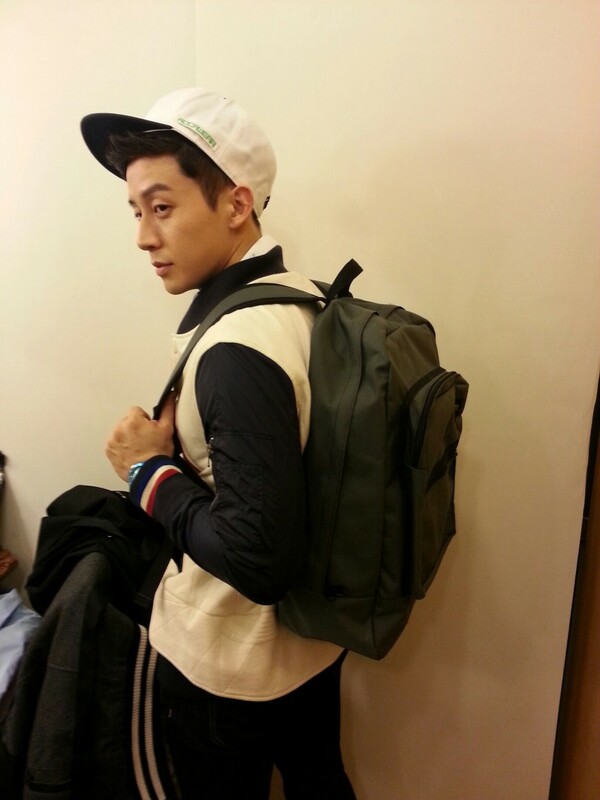 Share the post "Heo Kyung-hwan’s bag"
Posted in CELEBRITY'S PICK and tagged heo kyung-hwan, heo kyung-hwan backpack, heo kyung-hwan bag, heo kyung-hwan fashion, heo kyung-hwan style, John Peters New York, korean celebrity brand, korean fashion brand. Bookmark the permalink.